Let the love between you and your partner bloom just like these fresh flowers. Gift your sweetheart this heart-shaped flower arrangement on Valentine's Day to leave a lasting impression in her heart. She will fall in love with you all over again and give you a big warm hug. 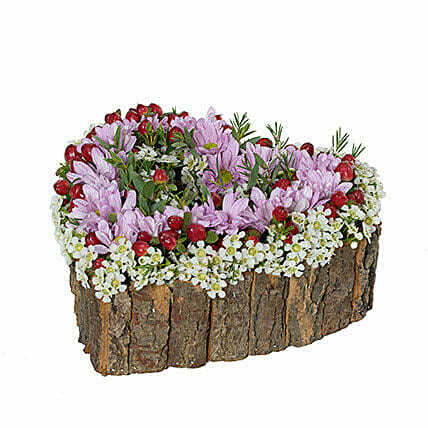 Heartshape Natural Arrangement of 4 PurpleChrysanthemum, Wax Flowers, Eucalyptus and Red Hypericum.